That's taken from the Xbox.com listing, which has since been removed. 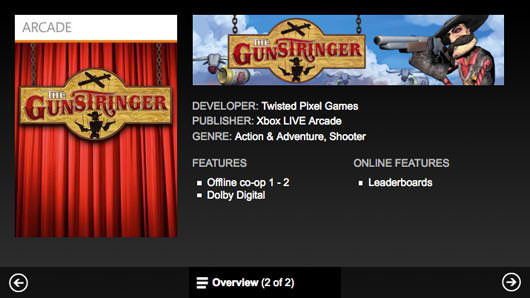 Twisted Pixel's games have had happy home on the Xbox Live Arcade, so this should come as no surprise. What's interesting is that this is a Kinect title, and an on rails shooter, to boot! Here's the announcement video, just in case you missed it. You can clearly see two different colored cursors in the video. I don't know if those are for right- and left-handed guns, or for first and second player, or both. 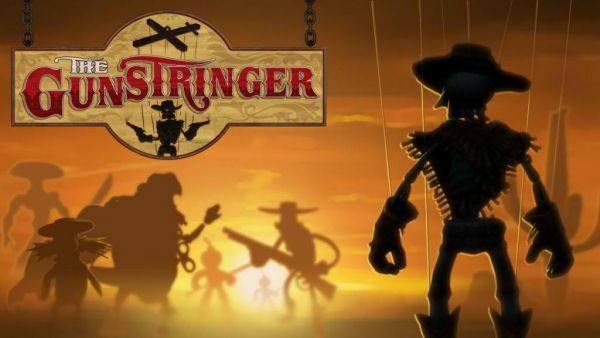 I do know you get to play as a sort of zombie-skeleton-sheriff-cowboy-marionette. How can that be bad? Twisted Pixel hasn't confirmed anything, yet, but we'll bring you more co-op news as it becomes available. Page created in 0.2898 seconds.